Though we might normally think of Hollywood as the center of entertainment, this year’s election has shown that celebrities use their positions in society for far more than just amusement. Many of America’s most prominent entertainers have expressed strong opinions regarding the election candidates. 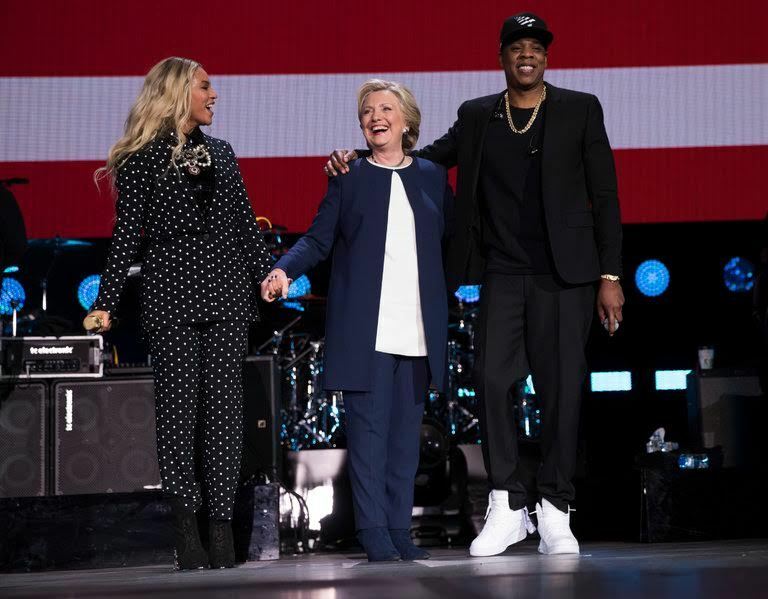 Los Angeles’s biggest stars, including Beyoncé, Katy Perry and Meryl Streep, rallied for the Democratic Party, though few celebrities expressed such fervent support for the Republicans. Such blatant partisanship calls into question whether celebrities should use their fame and reputation to influence the political views of their supporters, and if this is a reasonable and logical option, considering that they could alienate fans. A few celebrities, notably Taylor Swift, have refused to partake in the partisan battle. Many fans were frustrated that Swift didn’t use her prominence to get her supporters thinking about the election; however, by avoiding partisanship she also avoided dividing her fanbase. Samantha Phelan ’18 said, “I think it is smart that Swift wants nothing to do with it.” Regardless of whether celebrities expressed their own ideologies, almost every prominent figure employed social media to encourage followers to get out and vote, often explaining the importance of participation in our democracy. One particular media source which consistently took a side this election cycle was Saturday Night Live. The long-running late night show has often expressed partisan views during presidential elections. The show has never been afraid of alienating part of their viewership. However, as Kieran Anderson ’18 points out, “The demographic that watches SNL already supports the views shown by the Trump skits. If the purpose of those skits is to change people’s opinions, or show people a new side of things, it is failing to reach the desired target audience.” Therefore, SNL clearly knows the ideologies of their followers, and produces material in line with the beliefs of people who watch the show.